Your faucet brings fresh, clean hot and cold water right into your house, so when it breaks, that’s a big problem. Whether your faulty faucet is spraying a plume of water right in your face or simply dripping incessantly day and night, faucets problems can cost you time, money, and even some of your sanity (drip, drip, drip…). Fortunately, even though faucet technology has evolved in recent years, it’s still pretty easy to fix most common faucet problems yourself. Even if you have to hire a plumber to fix your leaking faucet, it could be worth it – a fast-dripping faucet can waste 30 or more gallons of water a day, and that kind of water usage isn’t cheap. Here’s what causes five of the most common faucet problems, and what you can do to fix them. Dripping faucets tend to get worse over time; when they first start dripping, they may drip so infrequently that you don’t even notice it. But soon, the drip gets so bad that it’s constant, and driving up your water bill noticeably. The right fix for this faucet problem will depend on whether you have a compression faucet or a cartridge faucet. If you have a compression faucet (one in which the handle screws down and you can feel a stem inside the handle pressing down on a washer inside), you can fix the faucet by replacing the washer at the end of the faucet stem. If it’s a cartridge faucet, you will need to replace the cartridge. A leaking faucet handle may be the result of a loose packing nut on the handle. It may also be a sign that the O-ring inside the handle needs to be replaced. Turn off the water, dismantle the faucet, and clean the valve body and the inside of the spout. Lubricate the new O-ring with silicone-based grease before installing it. Banging, thumping, squealing, and screeching when you turn off a faucet is usually a sign of water hammer, a phenomenon that happens when air in your pipes has nowhere to go. In severe cases, water hammer can rattle pipes so much that it damages fittings and connections. However, it’s easy to remedy by putting in an air chamber. If you already have an air chamber, or installing one hasn’t helped, shut off the water to your home and drain the lines. Then turn the water back on again. If the sound keeps happening, it could be a sign that you need to adjust the water pressure coming in from the main supply, or repair the faucet valve. At this point, it’s worth finding a Washington, DC plumber or faucet repair service to get to the root of the problem. If you turn on your faucet and the water dribbles, spits, or sprays rather than flowing normally, the problem could be with your aerator. 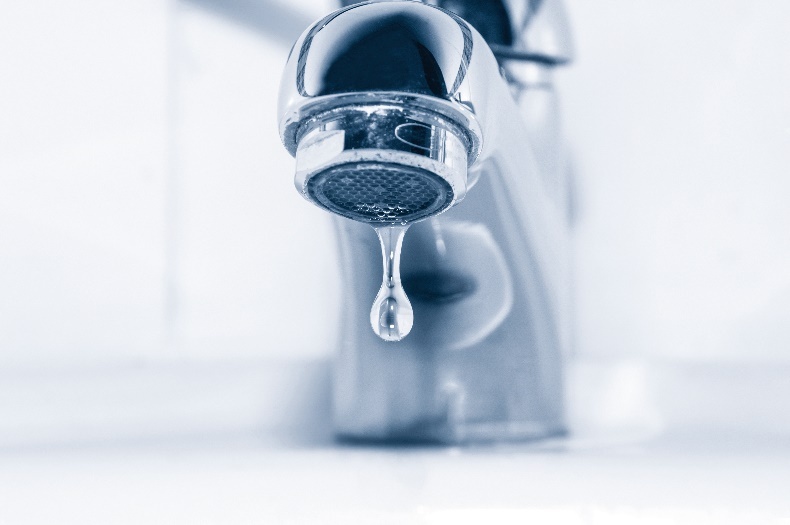 Normally, a dribbling or spitting faucet is a sign that the aerator needs to be removed, scrubbed, and replaced. 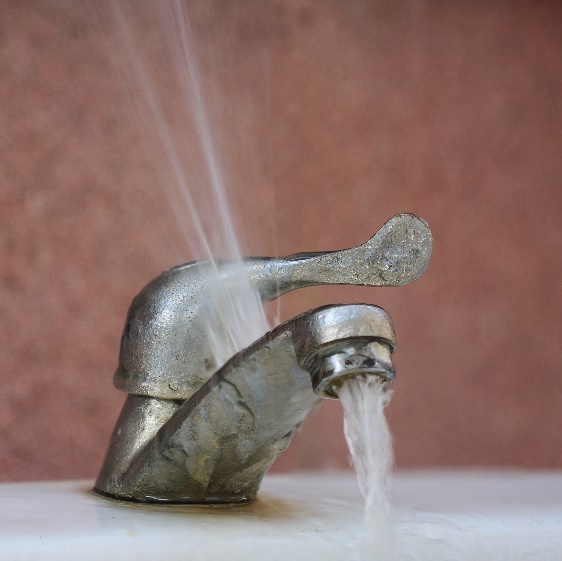 A faucet that sprays usually means that the aerator needs to be tightened. If your water pressure is low, you should first check that the problem is not with the water department or with the water supply valves letting water into your home from the main supply. If the problem is only with your faucet, then the low water pressure is probably a sign of a faulty diverter in the faucet. The diverter is a small valve that can be found inside the body of the faucet. It controls the flow of water to the faucet, but if it gets clogged, water won’t flow into the faucet spout as it should. Dismantle the faucet body and clear the diverter of any dirt or debris using vinegar and a small brush. Put the faucet back together and if the water pressure is still low, replace the diverter. Faucet problems can really throw a wet blanket over your plans – but they don’t have to do so persistently. With a little elbow grease and perhaps the help of a qualified plumber, you can put your faucet problems behind you – just let the water rinse them away. Battery issues can occur anytime so always have a spare battery that can help you while having such issues.